The term "Roenvaal" has changed and grown many times since I created it when I was in high school. It began as an acronym of the names I had given to the eight parts of my personality that existed at the time. I used it to help explain myself to others. Over time, it became my identifier and, eventually, my identity. Its use as an acronym is obsolete and is now known by most as my last name. R.O.E.N.V.A.A.L, in its early stages, protected me and inspired me. I wrote extensive stories based on the individuals who's names the acronym represented. When I discovered my love for wolf role playing I created the BloodClaw Pack RP which had over 100 members when it was at its best. My younger self posted everything I wrote and drew to my websites and social media. When my family noticed the extent and detail of my stories they helped me obtain a legal copyright. I had started to sign all of my work as Roenvaal so it seemed fitting to copyright the entire concept that was, and is, Roenvaal. I am now known as Sonia Roenvaal and I use Roenvaal Inc. to identify my work. The two main words I would use to describe myself are: spiritual and artistic. While the purpose and individual services I offer have changed over the years, this description remains true. Art and spirituality will always be at the core of anything Roenvaal. That said, recently I have started down a new path of self-improvement and education that has lead to the complete obliteration of what I thought I knew. My beliefs, abilities, and talents and the level of skill I thought I had in all of these areas have all changed. I now consider myself a beginner and a student with a loooong way to go. Artistically, I’ve been trying to broaden the range of things I’m able to draw (both with a reference and from memory) and starting to work on finding my unique style. I’ve also been studying color and light theory so I can start to properly convey my creations in color. I invested in a pen display tablet and an actual digital art software so I can finally learn how to do digital art too. I’ve always wanted to and I’ve dabbled but no one ever gave me the constructive criticism I needed to realize I wasn’t doing right or that I needed to explore other subject matter and techniques. Luckily, I realized it by myself and have been working on improving. I plan to post my new art as I improve to the Roenvaal Inc. Facebook page and to my personal Instagram. ( @careful.it.bites ) You can follow my journey there. As I progress, there could be opportunities for you to get free art. I plan on taking requests occasionally so I can get a wide array of things to practice on so keep an eye out for that. Eventually I will be taking commissions again but I have no idea when. Spiritually, I’ve bought and started reading a few books and watch all the documentaries I can find that pertain to my personal path. Just like with my art, this is going to be a journey that I'm starting almost from scratch. Though [unlike my art] I had a fairly strong base of spiritual knowledge and natural ability so despite my new status as 'student' I still plan on offering tarot card readings of various types. You can find info about that on the Home page of this site. My Role Play Trilogy has been put on hold so I can focus on my studies. I'm still writing the third chapter, fine-tuning the details of the role play, and even considering introducing a fourth part - we'll see. Despite it being copyrighted, I may hide the Role Play section of the site to put my mind at ease about anyone stealing it. I've been writing and developing this story since middle school so, don't worry, it's not going anywhere. I'm excited for this transformation and hope that you'll bear with me while I learn and improve. 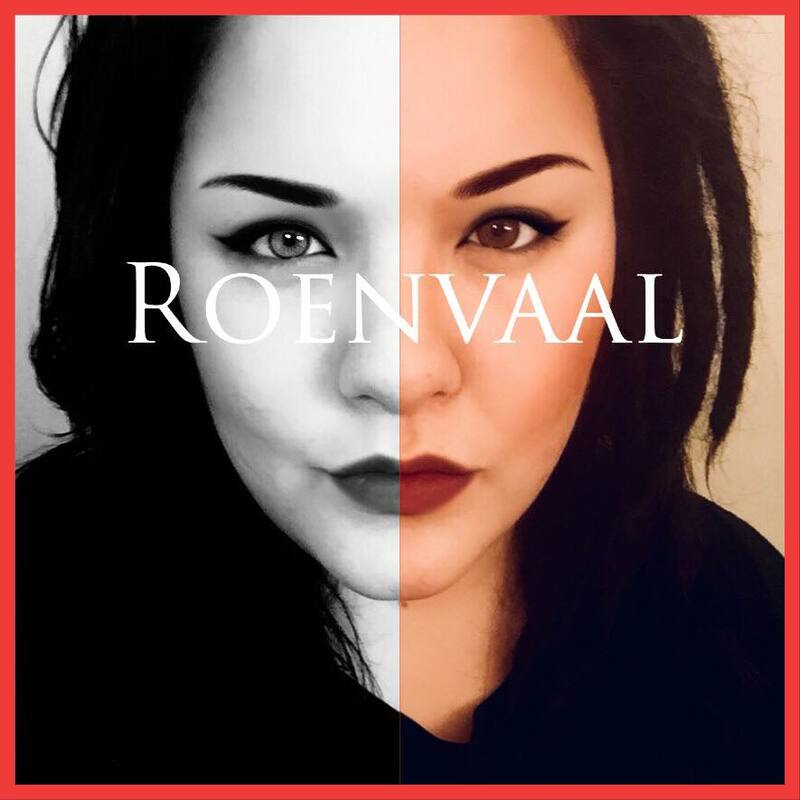 Roenvaal Inc. is still alive but the services I offer are very limited. I am still offering consultations for web layout design. Prices are based on what you need done and will be covered in a written estimate at the end of the consultation. To contact me about a tarot reading, art request, or to schedule a consultation about web layout design, you can message me on FB Messenger, post to the Roenvaal Inc. Facebook page, or send me an Email. To learn more about these services, visit the Home page of this site. In the past I specialized in animal art. I created semi-realistic sketches and colored portraits in reference-like poses portraying kintypes, theriotypes, fursonas, favorite animals, role play characters, or animal hybrids in poses that showcased markings and muscle structure. There are no commission slots available at this time - Closed for personal development. I don't do coding but I am excellent at designing a web page. I can plan the content and pictures, colors, and font to make your website look professional and appealing. Additionally, I am able to arrange the maximum amount of content while still being efficient and uncluttered. Contact me for a consultation and estimate. I'm a psychic medium and empath who practices an eclectic array of magicks. I have recently started down a new path which led me to reset my beliefs and start over. While I learn I won't be offering anything but tarot card readings. I'm still pretty good at those. In the past, I was able to do spiritual readings such as tarot, photo readings, energy/ aura reading and soul readings. I was a paranormal consultant for five years which meant I gave advice on defense, banishing and cleansing rituals against entities such as ghosts, demons, etc. I was somewhat of a teacher and taught a group of people (based in Arizona and online) I called my "Clan" or "Pack" spirituality and how to develop their abilities. After that, I got really into Otherkin/ Therianthropy and I took on a total of 5 students at a time to teach spiritual awakening and otherkin 101 to new therians and anyone else who wanted to learn. I also taught people how to develop natural abilities, choose a spiritual path, meditate and better improve their leadership skills. I had the skill level and knowledge to do all of that back then but now my beliefs have changed completely and I no longer do any of it.